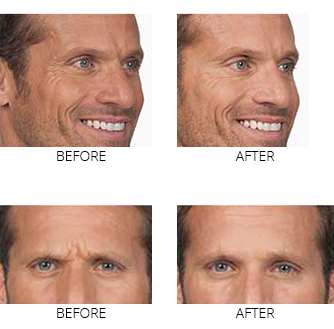 Are you looking to get rid of those little lines and crow’s feet? There’s a medical solution which may be right for you. 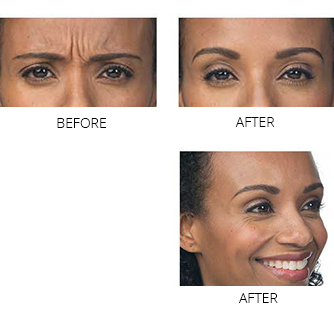 Botox® Cosmetic addresses the underlying causes of frown lines and crow’s feet. A View Beautiful specialist injects muscles with Botox Cosmetic to temporarily reduce muscle contractions which can cause facial lines. Right away, you notice a visible difference with crow’s feet and frown lines between your brows. If you’re interested in learning more about what Botox can do for you, schedule an appointment with us today. The botulinum toxin blocks signals between the nerve cells and muscles. Without instructions from the brain telling them to contract, the muscles slacken. The Botox injection is just enough to prevent the targeted muscle from contracting. In the instance of wrinkles and fine lines, your View Beautiful Wellness provider injects Botox serum into the soft tissues where it blocks signals to and from the muscles, allowing them to relax completely. The skin over the injected area tightens, giving it a smooth appearance. Fine lines and wrinkles begin to fade, leaving behind a more youthful appearance. 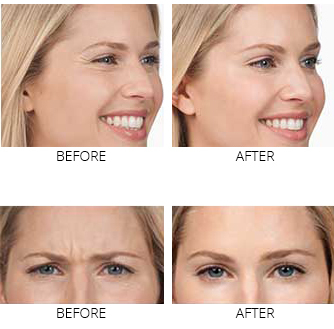 The results of Botox injections last four to six months depending on the original health of your skin. What are other uses for Botox? Since the late 1980’s, doctors have used Botulinum Toxin A -- brand name Botox -- for cosmetic purposes. Since then, the medical community has used it with no significant side effects, and it involves little recovery time. It’s considered a very safe treatment. Botox Cosmetic is more than a solution for wrinkles and lines: It allows people to age gracefully while looking their best. It can treat cosmetic concerns that traditional plastic surgery can't correct. These are just a few of the many medical conditions for which View Beautiful Wellness uses the serum. Many of our patients using Botox for cosmetic purposes also report a dramatic decrease in the frequency and duration of their headaches, including migraines and tension headaches. Are Botox injections and dermal fillers the same? Botox injections and dermal fillers aren't the same. While the results they produce are similar, the way each one works is dramatically different. Botox targets the signals between your muscles and nerves, while dermal fillers stimulate your body to produce more of the fibers that maintain the integrity of your skin and tissues. Because dermal fillers provide actual support to the tissues, the results of the procedure last much longer than traditional Botox therapy. At View Beautiful Wellness Center, we will happily discuss your options and determine which type of treatment will work best for you. We will provide you with the information you need to make the best choice possible for your individual needs.